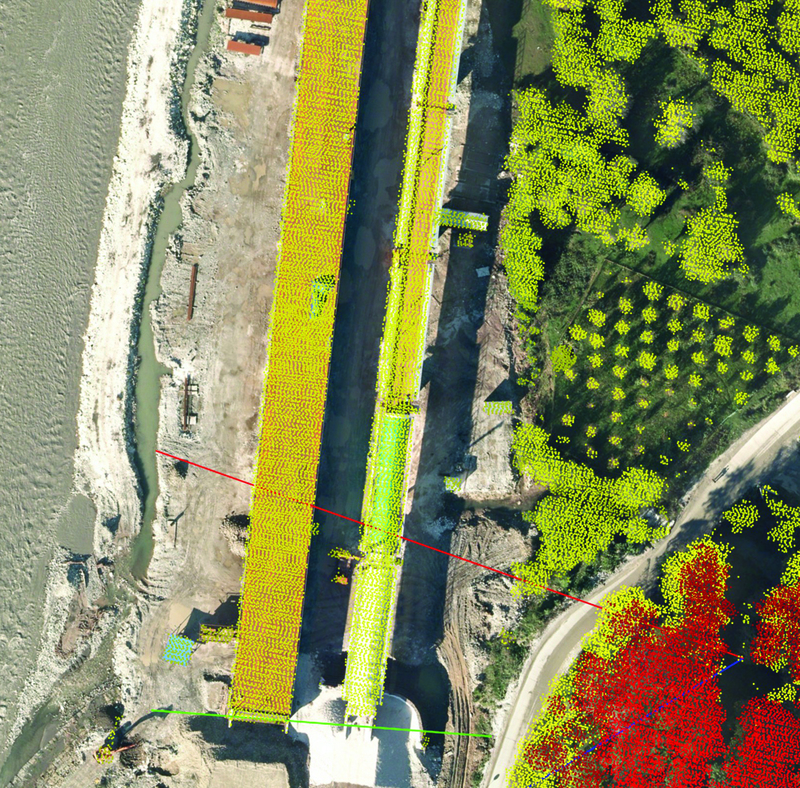 Laser scanning (or lidar surveying) is divided into airborne, terrestrial and mobile. The survey is carried out from terrestrial objects or the ground in a discrete mode (with changing the position of the device). The technique is suitable for the surveying of complex structures and structural elements within both the man-made (tunnels, caves etc) and natural environments. Terrestrial laser scanning is the most appropriate variant for complex construction and internal survey. The technique of Terrestrial laser scanning (TLS) is applied for a broad range of applications, such as 3D modeling and documentation, facade scanning, topographic location plan in the scale 1:500. TLS is a rapid non-contact technique of data acquisition and therefore suited for scanning objects up to 0.5-2 cm with accuracy of 0.5-5 mm. The capability of facade scanning in the scale 1:50 is from 1000-4000 sq m and the topographic plan survey in scale 1: 500 up to 4-20 hectares. The disadvantage is poor performance. Mobile Laser Scanning (MLS) is performed by moving a vehicle-installed scanner. Mobile scanning system can be mounted on cars, ships, railroad cars and other vehicles. The technique allows for a limited short-term stay in closed environments (travel under bridges, short tunnels). MLS is ideal for urban areas. 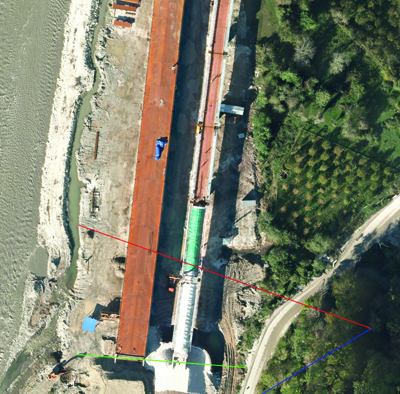 The technique is used for high-accuracy mapping and 3D-modeling of linear infrastructure (roads, railways, power lines, streets), complex and highly-detailed structures (settlements, junctions and multi-level overpasses, rocky shore, the downstream pool of dams (with boats), and so on. The accuracy is 5-8 cm, the detailed drawing is 1-5 cm, and the capacity is up to 500 linear km of imagery per day (bandwidth imagery is 50-250 m). The disadvantages: roofs are not available for scanning; the objects (like fences, bushes) next to the vehicle can be obstacles. Airborne Laser Scanning (ALS) is a leading technology for a rapid, highly accurate and efficient method of simulation and 3D visualization of large areas in the scale 1:500 -1:5000. The accuracy is 5-8 cm, the detailed drawing is 20-50 cm, and the capacity is up to 800 linear km of imagery per day (bandwidth imagery is 1000-1500 m). It is usually accompanied by a simultaneous digital aerial survey with a resolution of 5-15 cm in visible and NIR band. They are exceptionally compact, lightweight and cost effective, and are designed to meet the most challenging requirements in airborne surveying. It is applied in urban areas, industrial plants, engineering, and mission planning and project management for rough and inaccessible regions. The disadvantages: low accuracy when scanning vertical surface (e.g. walls). These techniques can be combined to eliminate the disadvantages of each other. The outlined disadvantages are considered in relation to every technique, but even the slowest technique (the terrestrial laser scanning) is much more productive than tachometric survey, and the less accurate technique (airborne scanning) is more detailed, accurate and faster than aerial survey. Topographic maps and GIS layers. High-precision digital elevation model (DEM) and terrain model (DTM). 3D-object model (CAD, 3D MAX, DGN), including a texture. Different size and dimension of sheets. Profile, cross sections of objects. Virtual terrain model and overflights. Colored clouds of laser reflection points (on simultaneous photo). "Reticular" object model is used to restore stucco, unique objects (monuments, technological elements of constructions) (only for TLS). Facade and floor plans (for TLS). Perspective aerial photos (for ALS).